‘Hike the Inca Trail to Machu Picchu’- something that appears on more than a few people’s Bucket Lists, and THE reason many come to South America to begin with. Sweeping views of the Peruvian Andes, pristine cloud forests clinging to valley walls cloaked in mist, magnificent Inca sites strewn along the path all the way to the legendary citadel of Machu Picchu- it is rightfully recognized as one of the best hikes in the world. Being moderate in difficulty level, the ‘Classic’ Inca Trail is a realistic possibility for people of all ages, and thousands flock to Cusco annually to walk in the footsteps of the Incas. 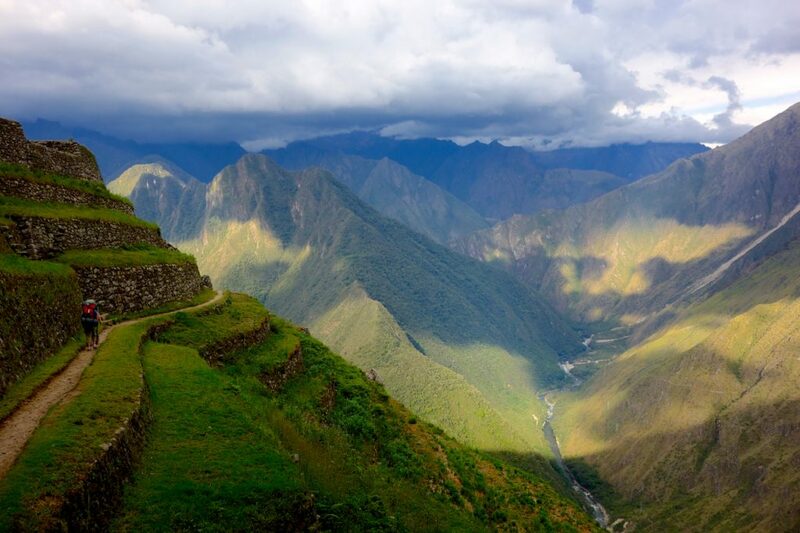 In recent years, the Peruvian government has gone to great lengths to monitor and preserve the historic roads leading to Machu Picchu, and this has often made completing the Inca Trail more challenging logistically than physically. Daily permit limits, annual trail closures (closed in February for maintenance), and closely monitored movements of groups along the paths can contribute to a ‘herding’ experience along the route to Machu Picchu, but all of that melts away upon arrival at the Sun Gate- the mountain-top entrance to the city in the clouds. 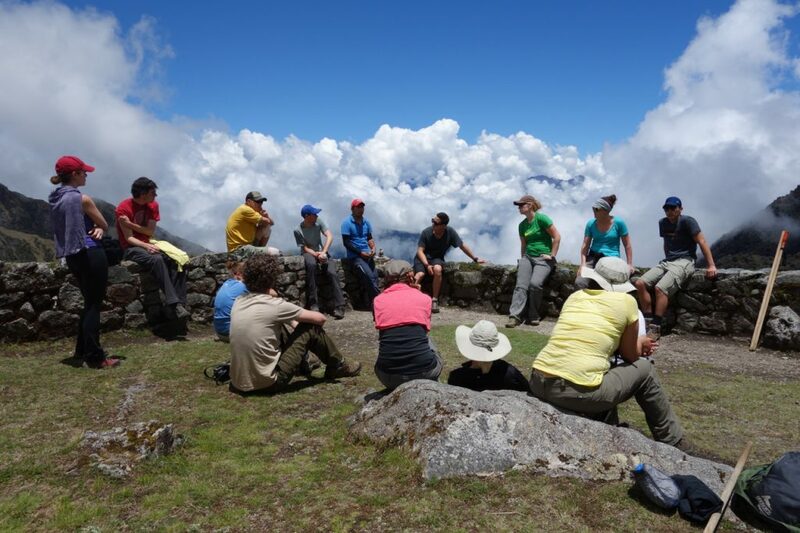 Timing is key when considering taking on the ‘Classic’ Inca Trail. The ‘High Season’ runs from April through September, but advance bookings are ESSENTIAL year-round. Trail permits routinely book out months in advance- even in low season (when booking BPU’s trek in May 2012, the earliest departure date available was mid-October). DO NOT think that you can just show up in Cusco and book the Inca Trail- you CANNOT. Advance booking is IMPERATIVE. It is VITAL to realize this when planning a trip to South America to do the Inca Trail. We actually recommend booking the Inca Trail first- before booking plane tickets, hostels, etc.- and then planning the rest of your trip through South America around the dates you know you’ll be in Cusco for the Inca Trail. 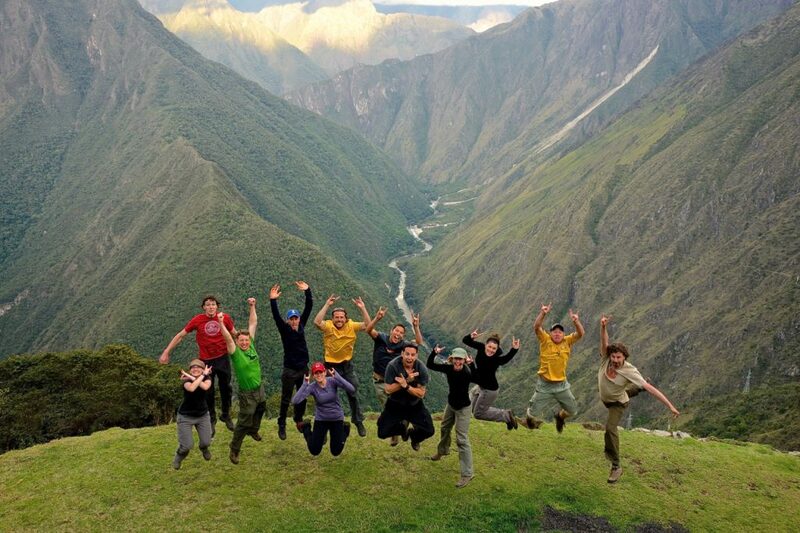 In reality, you’re almost forced to do it this way, as you have to book the Inca Trail so far in advance. That isn’t such a bad thing, really- having a set date on the calendar provides a great starting point for planning out the rest of your adventures, regardless of where you’ll be traveling. Inevitably, there are now countless tour operators in Cusco trying to cash in on the limited supply and high demand for trekking permits (only 200 tourist permits are issued per day). Each company offers the same trek, with varying options for types of accommodation, meals, porters, etc. It is also IMPERATIVE that you do your research here to make sure you sign up with a company that not only fits your budget, but will also deliver on what they claim to provide during the trip. Read reviews, compare websites, send emails if you have questions- reputable companies should be forthcoming with the details of their trips, and will clearly answer any questions or concerns you have about booking with them- in English, if necessary. As with any trip of this type, finding the right company can make or break the entire experience. The hike itself requires a bit of physical fitness, but it is not overwhelmingly difficult. Altitude sickness is perhaps the biggest concern for most, and a few days acclimatizing in Cusco before the trek is recommended. Most pharmacies in Cusco sell altitude sickness medication. Drinking lots of water and getting plenty of sleep help fight altitude sickness, and many people eat coca candies, drink coca tea, and/or chew coca leaves while on the trail. Day 1 begins with a 2-hour bus ride from Cusco, through the village at Ollantaytambo, and out to the trailhead at Kilometer Marker 82. Trekkers are required to show their passports and present their trekking permits at the trailhead checkpoint, pose for the requisite group photo, and then the trek begins. 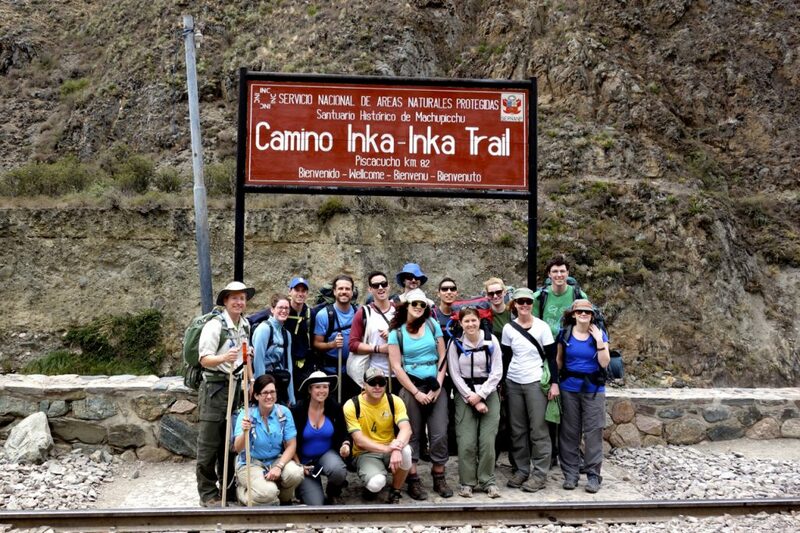 The hiking is easy on Day 1, with various Inca sites seen along the way. The trekking guide will stop at these sites to describe their purpose, and begin to give a glimpse into Inca culture and tradition. Day 2 is widely considered the most difficult day on the trail, with Warmiwañusca Abra (Dead Woman’s Pass) being the highest point (4,200m) along the route. It is a long slog up to the pass, with a long descent to the campsite, but the scenery along the way is SPECTACULAR. Day 4 starts EARLY- as in 330am- with head torches, jackets, hats, and gloves. A quick breakfast is served before filing into the que to get through the final checkpoint on the way to Machu Picchu. Once the checkpoint opens at 530am, it is a short 5K hike up to the Sun Gate, and the first glimpses of Machu Picchu. This section of the trail is best tackled as quickly as possible, as you’ll want a few minutes of peace and quiet at the Sun Gate to get photos and appreciate the view before the hordes of other trekkers arrive. Once you’ve gotten your photos (or are shoved out of the way by other trekkers...), it’s down the trail and into Machu Picchu to check your large backpacks and start your guided tour of the city. The rest of the day entails exploring the historic site, lunch with the group down in Aguas Calientes, and the trip back to Cusco. (See below of information on climbing Wayna Picchu). A note on paying the balance of your trek cost upon arrival in Cusco- TRIPLE-CHECK the condition of your bills BEFORE heading to Cusco. Bills with wrinkles, small rips/tears, or writing of any kind will be rejected by your trekking company, and the banks and exchange houses WILL NOT trade your damaged bills for new ones. Most hotels and hostels in Cusco will keep your large bags for you while you’re out on the trail. Pack a smaller bag for the 4 days you’ll be hiking, and leave the bulky bag in the Storage Room. Sturdy hiking shoes/boots are a must. No flip-flops or trainers- they won’t hold up on the trail. SUNCREAM- bring the 30+ or stronger. You’ll need it. A warm hat and gloves are a good idea- it gets pretty cold at the campsites at night, and a hat and gloves will make things a bit more comfortable. Don’t worry too much about the water situation- take enough for the first day, and then your tour company should provide water for the remaining days. If you have a reusable bottle, make sure to bring it- discarded plastic bottles are a HUGE issue along the Inca Trail. Make sure you’ve got all your camera batteries charged for the trek, as there are limited places to charge things along the trail. Check your company’s gear before you set out- warm sleeping bags, adequate sleeping mats, and functional tents are essentials worth double-checking before you set out. Tips for porters, guides, and cooks- always a touchy subject. Yes, the guides and porters work hard during the trek and expect some sort of gratuity for their service. Depending on the climate of the clients, these tips can be given from the group as a whole, or on an individual basis. Obviously, there may be people in your group that come from different cultural backgrounds as far as tipping is concerned, so it may be best to leave it up to the individuals to tip what they deem appropriate. As for how much- again, it may be best left up to the individual to determine what they deem adequate. How was the service? How were the guides? The food? Was camp set up upon your arrival every day, with your belongings readily accessible when you got in off the trail? All things to consider when figuring out an appropriate tip for the guides, the cook, and the porters. You may be given the option of hiring an extra porter to carry your belongings while on the trek. This is strictly done on an individual basis, and really depends on the trekker. 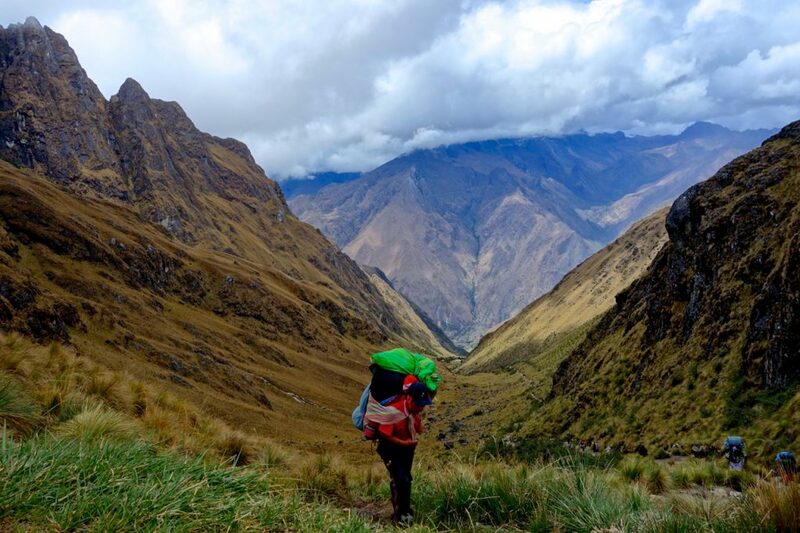 If you are a hard-core back-country backpacker, you can easily carry your own stuff along the Inca Trail. If you’re more of a recreational hiker or someone that has achy knees and/or feet, hiring the extra porter may be worth saving yourself the trouble and strain of hauling all of your gear up over the passes and down the thousands of steps along the trail. Another thing to consider here is that this is the way the locals earn their living- by hiring an extra porter, you are giving someone a job for those 4 days, which, when combined with the strain it will save you, may be enough to convince you. The locals in the Andes swear by the power of chewing coca leaves. More energy, a settled stomach, a calm mind, and an antidote to altitude sickness- all positive side effects of chewing the local foliage. If you can’t stomach the idea of chewing leaves, try getting some coca candies/chews in Cusco, and drink coca tea along the trail. If you do want to ‘go local’, buy some coca leaves and the requisite llipta (pronounced ‘jipta’- it’s a catalyst that activates the enzymes in the coca leaves) in Ollantaytambo on your way out to the trailhead. Machu Picchu is HUGE, and will take some time and effort to explore. See below for BPU’s advice on booking an extra day in Aguas Calientes to allow for more time at Machu Picchu. A few highlights to check out at Machu Picchu: The Inca’s House, The Temple of the Condor, the Temple of the Sun, the Observatory and the Intihuatana stone, The Room of the Three Windows, the terraces, the quarry, the Inca Bridge (about a 20 minute walk accessed from the very top of the site) and the residential sector. 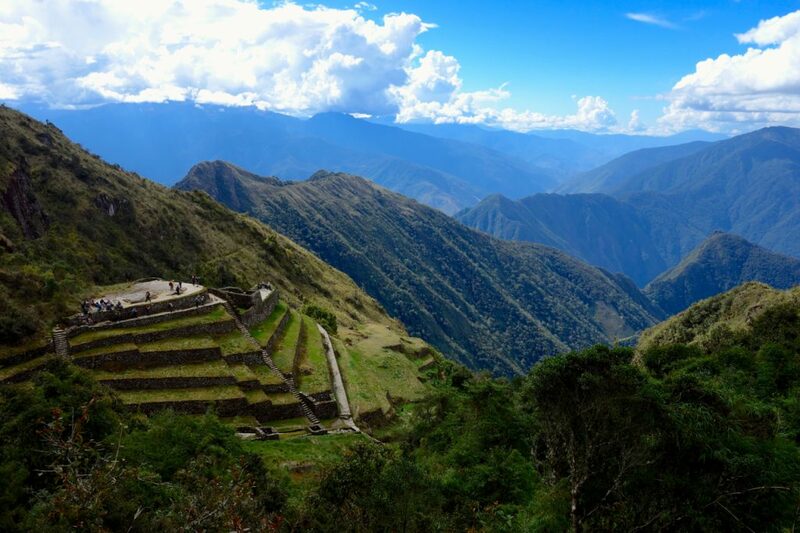 If you are interested in climbing Wayna Picchu (The tall peak next to Machu Picchu), you are required to purchase a combination Machu Picchu/Wayna Picchu entrance ticket, which is different (and more expensive) than a basic Machu Picchu Entrance ticket. 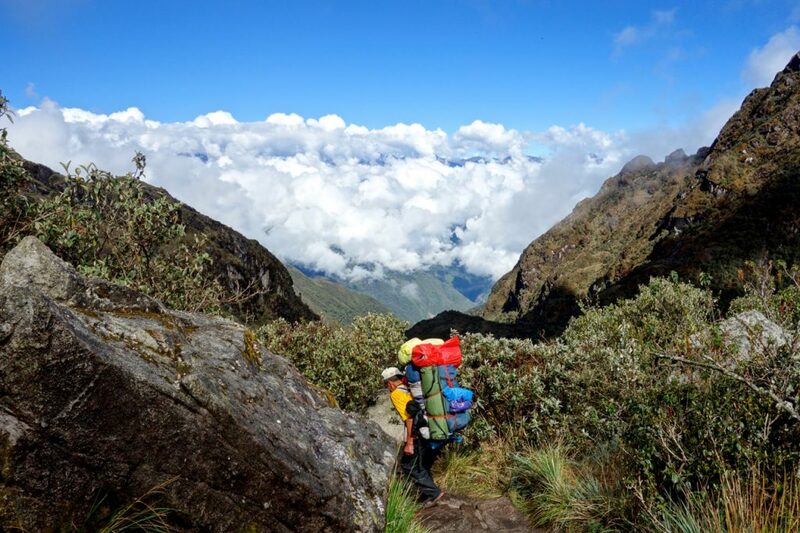 This can be tricky, as most trekking companies include the cost of your basic Machu Picchu entrance ticket in the overall cost of your trek, and may not be able/willing to upgrade to the ‘Combo’ ticket. If you are interested in climbing Wayna Picchu, make sure to ask the trekking company you are planning on booking with how they handle those requests. You may have to buy the ticket on your own through the Peruvian governments Machu Picchu website (http://www.machupicchu.gob.pe), and if you plan on climbing Wayna Picchu on the day that you arrive at Machu Picchu with your trekking group, this means not only missing the guided tour of the site, but also double-paying for your entrance to Machu Picchu. See below for BPU’s advice on booking an extra day at Machu Picchu. Whether you are interested in climbing Wayna Picchu or not, BPU HIGHLY recommends booking accommodation in Aguas Calientes for the night after you finish the Inca Trail, and purchasing another entrance ticket to return to Machu Picchu the following day. There are several reasons for this: 1) You will be EXHAUSTED when you arrive at Machu Picchu after completing the Inca Trail, and it could feel like you are forcing yourself to explore the city rather than enjoying the time you have to spend there. A hot shower, a hearty meal, and good night’s sleep in a comfy bed in Aguas Calientes, followed by an entire day exploring the site at your leisure is a much better option than stumbling around the site for a few hazy hours. 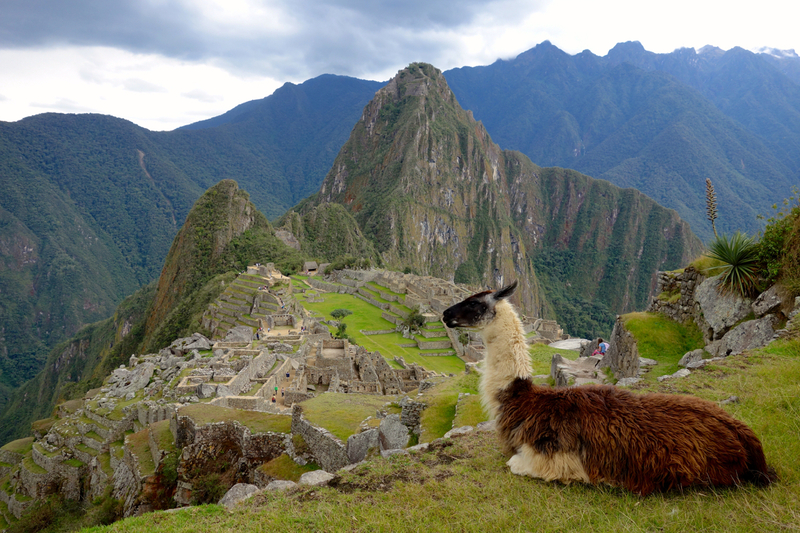 It’s MACHU PICCHU- you want to enjoy it. 2) Machu Picchu is HUGE, and there is A TON to see and explore. The 4-6 hours you’ll have there with your trekking group are hardly enough to scratch the surface, and chances are you won’t be in the mood to push through your exhaustion. For most, going to Machu Picchu is a ‘once-in-a-lifetime’ experience- after hiking 4 days to get there, it only makes sense to take the extra time to soak it in and enjoy it. 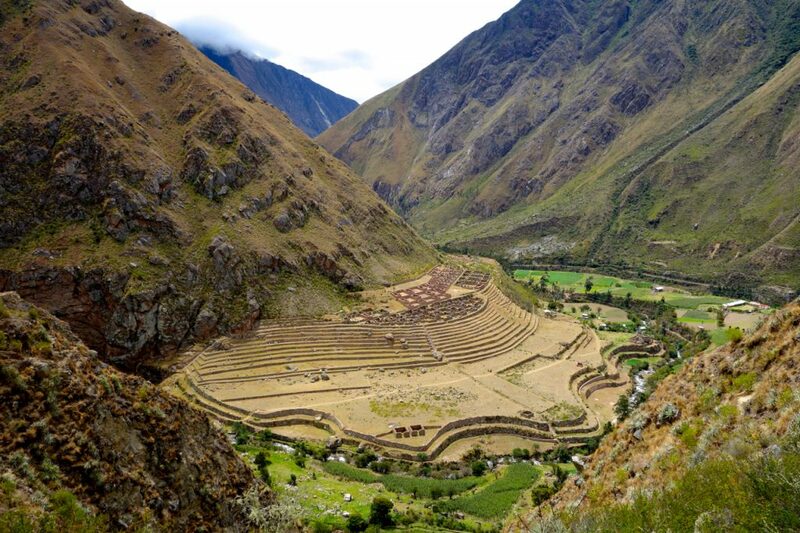 Take your journal, take time to wonder at the genius of the Incas, take a nap in the sun on one of the countless terraces- you won’t have those options on the day you arrive with your trekking group. 3) You aren’t guaranteed good weather upon your arrival at Machu Picchu, and booking a second day gives you another shot at clear skies if it is cloudy/rainy on the day your trekking group arrives. 4) If you do want to climb Wayna Picchu, booking an extra day avoids the issue of having to ‘double-pay’ for your entrance to Machu Picchu as described above. Arrive at Machu Picchu with your trekking group, stay with them for the tour and free time at the site, enjoy a celebratory lunch with everyone down in Aguas Calientes, and book your combination entrance ticket for the following day. SORTED. 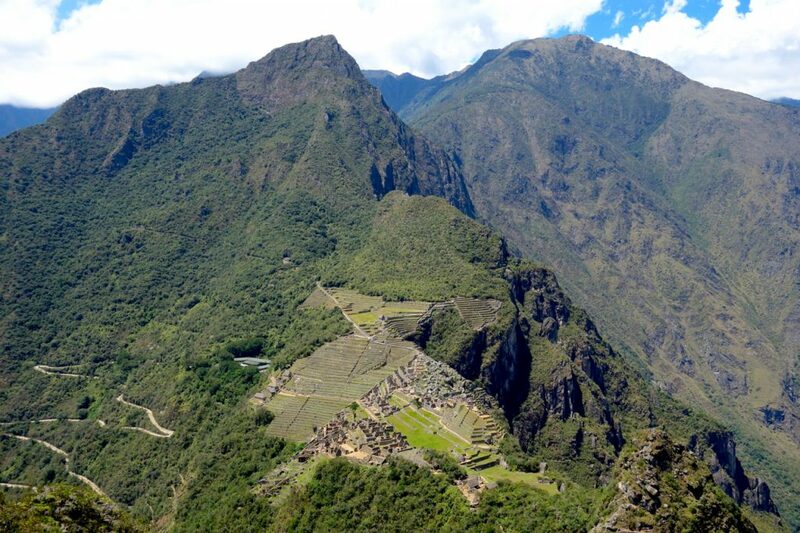 5) Again, if you want to climb Wayna Picchu, your legs will need the rest. 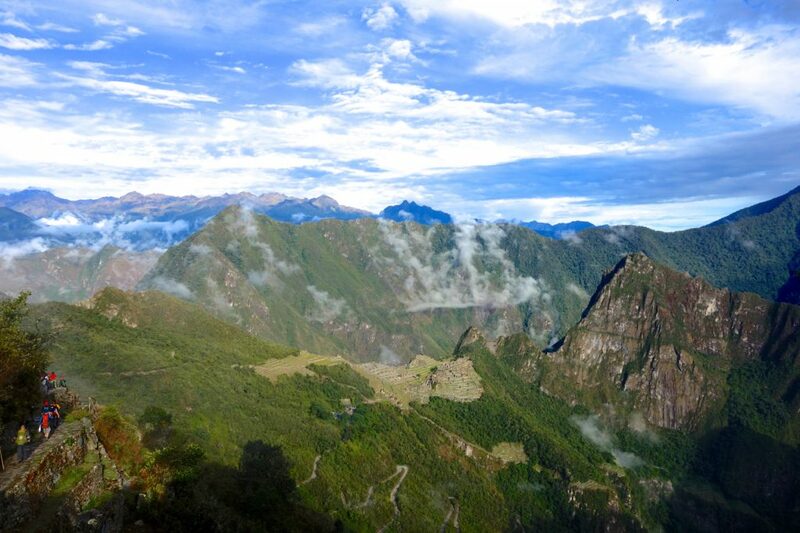 After 4 days of trekking through the Andes, you’re sure to be tired, and climbing Wayna Picchu is no walk in the park. Give your legs a break, get a good night’s sleep, and head back to Machu Picchu fresh the following day, ready to take on the site in its entirety.